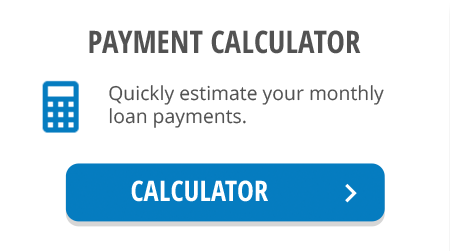 Try our new, easy to use Shop-by-Payment™ tool. 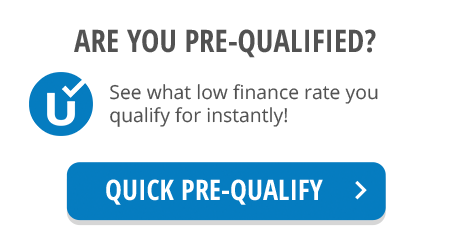 Get personalized Pre-Qualified payments on all of our available inventory matching your budget. No impact on your credit and no obligation to buy. Have fun shopping! You set your target payment. Our new and easy-to-use Shop-by-Payment™ tool allows you to search for vehicles that actually match your budget. You tell us what you want to spend, and our truPayments® engine will find the best matches across our entire inventory. You save time and money. Our truPayments® engine does the hard work, so you don't have to. Shop-by-Payment™ gives you a clear picture of vehicles that fit your needs and budget. It also automatically calculates all financing factors, such as discounted pricing, rebates/incentives, loan/lease specials, credit, taxes and fees. You’ll get customized financing for every vehicle, and you can even add your trade-in. Say goodbye to guesswork and hello to a brand new shopping experience that is transparent and personalized for you. You'll be amazed at what you can buy! One of the best things about using our Shop-by-Payment™ tool is that you get to see a wide range of vehicles and payment options that fit your budget. You might be surprised at what your budget can actually get you, maybe a shiny new car instead of a used, or a feature-rich high-end used car instead of a basic new. No matter when or where you want to shop, our Shop-by-Payment™ tool is easy to use on any device. In fact, you can shop now and then continue right where you left off. Shop-by-Payment™ – the most convenient way to find the right car at the right payment®..
No matter when or where you want to shop, our Shop-by-Payment™ tool is easy to use on any device. In fact, you can shop now and then continue right where you left off. 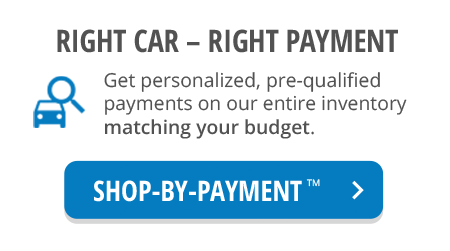 Shop-by-Payment™ – the most convenient way to find the right car at the right payment®. Your privacy is important to us. Our unique process is private and secure. You get personalized pre-qualified payments on our inventory, without providing your social security number or date of birth, there is no impact on your credit and no obligations to buy. Does Shop-by-Payment™ impact my Credit? There is no impact on your credit and no obligation to buy. Can I include my Trade-In? Yes. You can add your trade-in at any time. 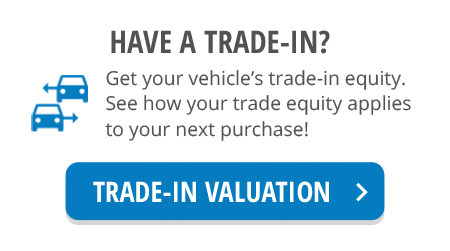 We'll determine your estimated trade-in equity. You can see the difference in your payment options with or without your trade equity. If you have positive equity you can even get cash back from your trade-in. What if I owe more on my trade-in than it is worth? If you have negative trade-in equity, which means your vehicle is worth less than the amount still owed on your loan, you can typically include at least some negative equity in your new financing. However, if you do not include cash at signing that covers a significant portion of your negative equity, your search results may be limited. With our Shop-by-Payment™ tool, you can adjust cash due at signing once you've added your trade-in or after you have selected you vehicle.